We all know I love to shop! Since it is Down syndrome awareness month, I made a list of my favorite shops that support Down syndrome awareness. Check out these cute shops, you won't be disappointed! Littlest Warrior is one of my favorite shops for myself and my boys. 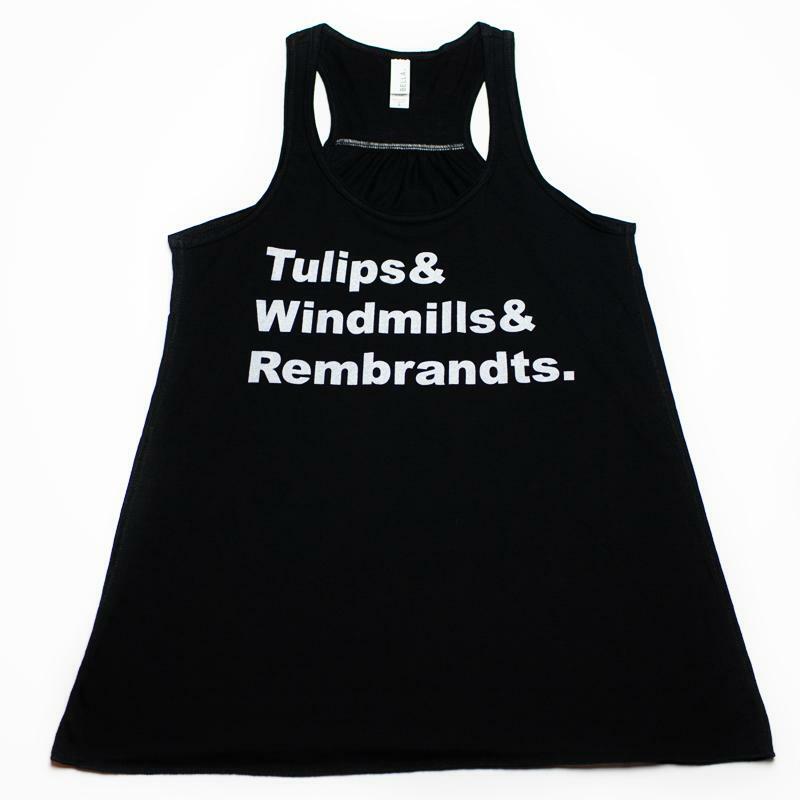 We have many of the shirts that Michelle sells. Michelle is the owner of Littlest Warrior, and her son Eli, rocks an extra chromosome. A few of my favorite shirts are in the slideshow below (we own all of these), and even some of Bryan's favorite shirts are from the shop. I am wearing my new Peace, Love and Inclusion shirt to Dex's IEP meeting on Wednesday. (You think they will know where I stand from the shirt?) Check out this awesome shop- seriously- it's the best. A Lil Something Extra is a new found favorite! I met the owner, Katie at the Ruby's Rainbow Retreat this month, and she had brought some of her amazing designs with her. Katie's son Charlie, is so adorable, and he happens to rock an extra chromosome. I now sport a decal on my car (the cute one in the slideshow), and the awesome shirt that I am wearing in the top photo. I can't wait to order more from Katie. My next purchases will be the Worthy shirt for both my boys, and the From Florida to Georgia with Love shirt, since both my babies were born in Florida. Love love love this shop! Go check out her instagram as well- she is running specials for Down syndrome awareness month! Little Messengers is an online shop that sells the most precious blankets. I met the owner, Mercedes, at the Ruby’s Rainbow Retreat. Her daughter, Sunflower rocks an extra chromosome. One of these blankets is definitely on my boys’ Christmas list. I mean look at how gorgeous they are!!! And rumors has it, they are super soft as well. Check out her shop and get yourself a blanket to keep you warm this fall and winter. 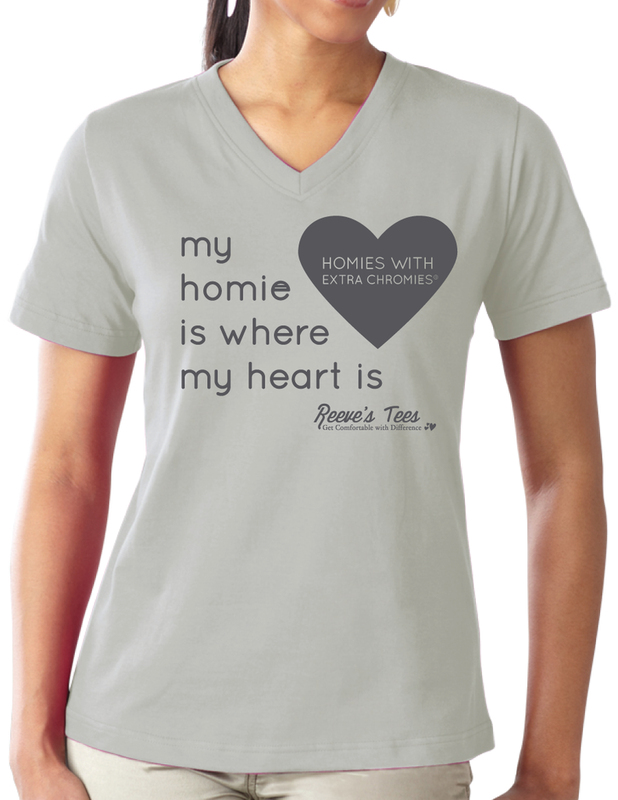 Reeve’s Tees has the cutest shirts! I have purchased several shirts from Reeve’s tees over the years. I bought my parents the proud grandparents shirts, and I have the mommy of homies with extra chromies shirts. Click through the slideshow to see my current favorites. Another thing I love about Reeve’s Tees is that they employ people with Down syndrome. You always get the photo and name of who packaged your shirt when it arrives. Check them out! I recently found Special Needs Games after a few people mentioned them on instagram. I know that Santa will be shopping here for my boys this year! I love that these games are made with my kiddos in mind, and would be such a fun and practical way to help our kids understand emotions. Can’t wait to get this for my littles! Jude and Fi is a shop owned by Shannon, whose daughter Fiona has Down syndrome. Every time I see a post on Shannon’s page, I instantly wish I had a girl! She makes the cutest hair bows/clips for girls that will actually stay in! I have bought several to give as gifts- and I may have a few saved for the day that we adopt a girl (hopefully)! 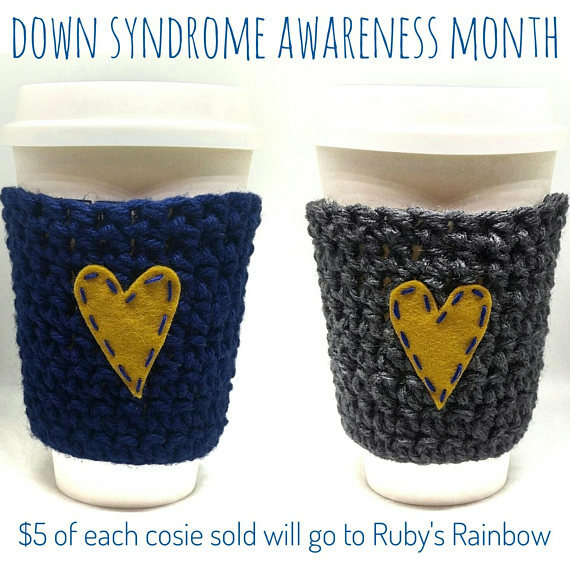 She also makes the cutest coffee cup cozies- and this month $5 from each cozy that is sold will go to Ruby’s Raninbow- and we know how awesome that is! So grab a coffee cozy or two- they make great gifts! 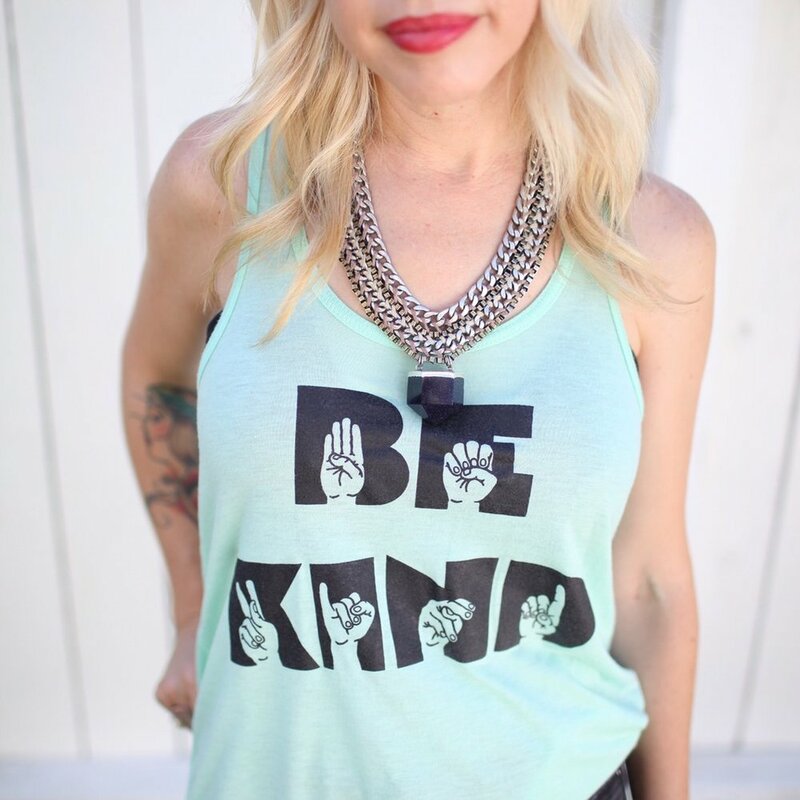 Shannon reached out and shared that her friends over at BBTee made a shirt for Down syndrome awareness month and they are donating a portion of the proceeds are also going to Ruby’s Rainbow! That cute boy who has my heart is modeling the shirt for this year. It comes in kids and adult sizes and it is so soft! Go grab one before the month is over! The Blue Envelope makes the cutest shirts for all different occasions- but I am partial to this Down syndrome awareness shirt for sure! I met Mica of May Designs at the Ruby's Rainbow Retreat as well. (I know, there were so many awesome ladies there) I fell in love with her notebooks and other fun stationary, accessories and agendas. I especially LOVE these gratitude journals, and have already bought several to gift as gifts. Check them out- I want one of everything! Well there you have it- some of my favorite shops! If you grab some good stuff from these shops, let me know! I would love to hear what you got! There is also a big giveaway coming toward the end of the month with items from some of these shops! Check back for details!